Report all forms of non-sexual misconduct (Physical Misconduct; Verbal/Emotional Misconduct; Bullying; Hazing; and Harassment) to USA Gymnastics using this form. USA Gymnastics mandates that all members follow state and federal laws governing reporting of child abuse. If you are 18 years of age or older and are subject to USA Gymnastics policy, you are required to report all instances of possible child abuse or neglect to law enforcement and state child services. If you suspect or have knowledge of sexual misconduct, contact the U.S. Center for SafeSport immediately. The U.S. Center for SafeSport reporting page may be accessed HERE. The United States Center for SafeSport The U.S. Center for SafeSport was created by the United States Olympic Committee in March 2017 as a wholly independent body to investigate allegations of sexual misconduct in Olympic National Governing Bodies. The U.S. Center for SafeSport has exclusive jurisdiction over sexual misconduct allegations, which means USA Gymnastics and its members report any allegations of sexual misconduct they become aware of to the Center for investigation and resolution. 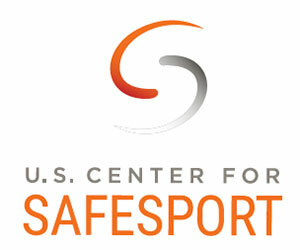 More information on the U.S. Center for SafeSport is available throughout this website.